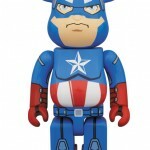 Medicom is releasing two Marvel Avengers Movie Be@rbricks. 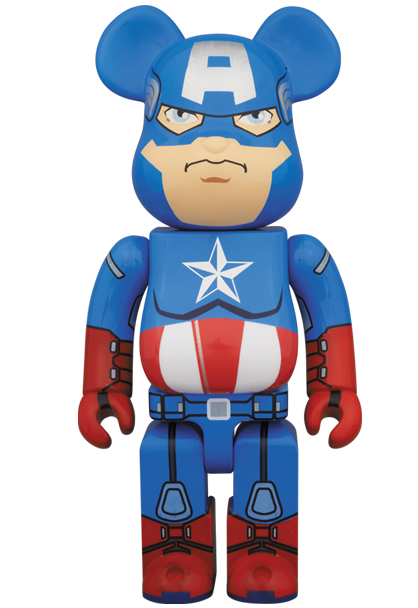 The Captain American 400% Be@rbrick stands 280Mm, about 11″, tall. It will sell for 7,14 Yen, which comes to about $87 USD. 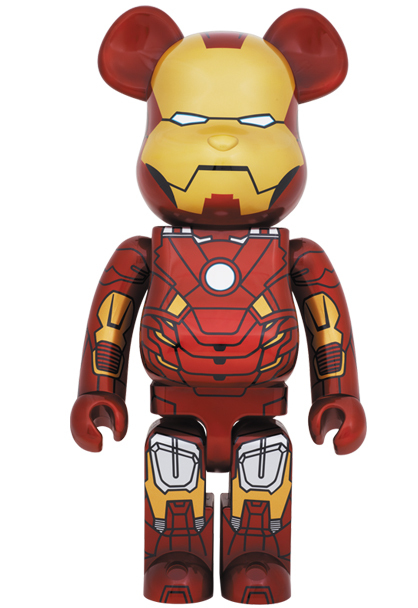 The Iron Man Mark VII 1000% Be@rbrick stands 700MM, about 27.5″, tall. That one will sell for 29,400 Yen, which comes out to about $358 USD.